Jacksonville International Airport, the city's Amtrak station and JAXPORT's Dames Point Cruise Terminal are located on the Northside. Over the past decade this has been a rapidly growing area. With the addition of the River City Marketplace (2006 and still growing), the largest shopping complex in North Jacksonville, anchored by many national retailers long with small businesses, a wide variety of restaurants and a movie theatre. If you're looking for a way to quickly put the stress of travel behind you, head to the Talbot Island State Parks. Located just 20 miles northeast of the city, these parks provide a not-to be-missed ecotourism opportunity. Also home to Huguenot Memorial Park which provides miles of beaches you can park and enjoy right on the sand or sleep under the stars with camping opportunities. Just off I-95, the Jacksonville Zoo and Gardens and the Budweiser Brewery are open for tours. You'll have a ton of options before the day is history. Speaking of history, there's another noteworthy stop to see on Jacksonville's Northside. Kingsley Plantation, within the Timucuan Ecological and Historic Preserve offers visitors a glance back in time to the antebellum South. Most of the homes you'll find here are built in the last 20 years, there are many new construction options and several waterfront communities. There are opportunities for larger parcels of land (1+ Acre) or great first time home buyer, starter homes and empty nester options. Don't be fooled. At first glance, Arlington may seem like little more than typical suburbia. Arlington is boarded on three sides by water, the St. Johns River and Arlington Rivers provide great opportunities with public boat accesses to enjoy boating, skiing and fishing. It is also one of the closest neighborhoods to downtown. But on its outskirts, the 46,000-acre Timucuan Ecological and Historical Preserve continues to be heralded by as one of the most beautiful and magical natural settings. Make sure to stop at Tree Hill Nature Center or Fort Caroline National Park, established in 1564 by French Huguenots. Bring your gear for the biking and hiking trails in the parks. Ft. Caroline area is adjacent to Arlington and as you enter you notice the topography change. Arlington also boasts many large well established trees, however, Ft. Caroline and the presence of the Fort Caroline National Park make it a nature lovers dream. Ft. Caroline is also the most "hilly" place in Jacksonville where you can actually hike some tall (Florida tall) bluffs and enjoy tree canopied streets. Arlington has many well established neighborhoods where it's very easy to find brick ranches and concrete block built homes. From estate size lots to patio homes with small yards Arlington has many solid choices. Just over the sprawling Intracoastal Waterway are the beaches, with over 20 miles of white sand. Farthest north, the quaint, historic village of Mayport is home to casino boats and seafood restaurants, offering their freshest catch. Head over to Kathryn Abbey Hanna Park, providing what many consider to be Jacksonville's favorite biking and hiking trails. The park also offers camping and spectacular views of the Atlantic Ocean and surrounding wilderness. 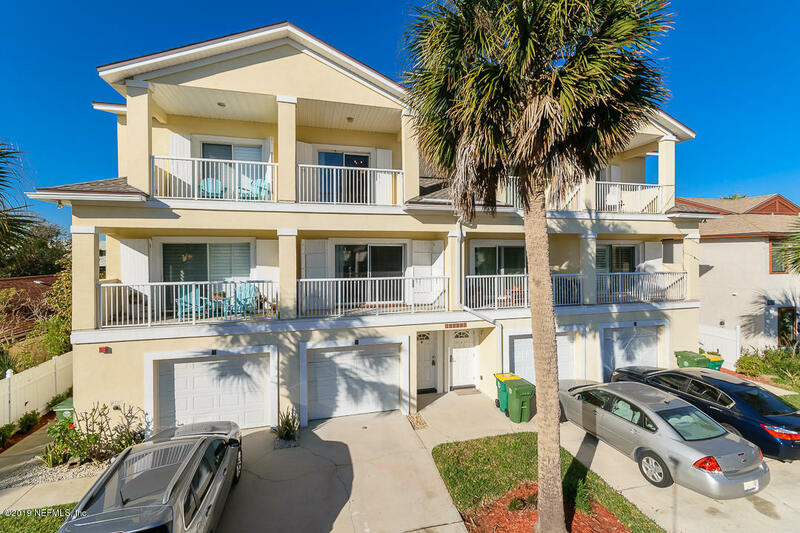 South of Mayport are the communities of Atlantic Beach and Neptune Beach. The intersection of Atlantic Beach and Neptune Beach is a hot spot that seems to keep getting hotter. Enjoy casual and upscale dining, diverse shopping options and most of all a very happening nightlife scene. 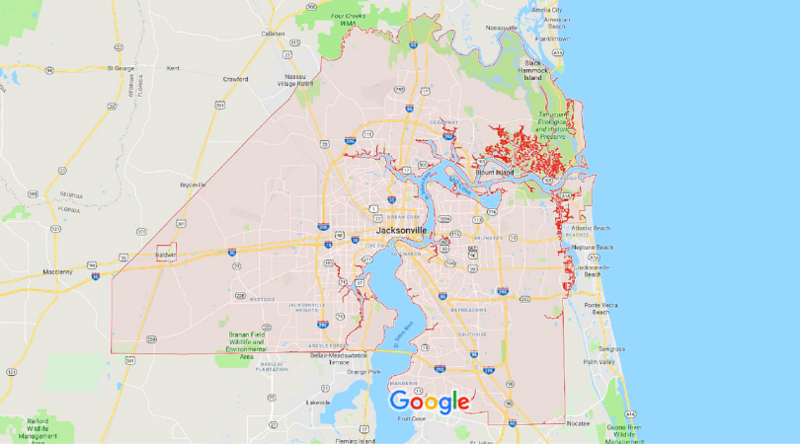 If you're looking for estate size lots, oceanfront, waterfront or just a funky beach cottage there is something for every lifestyle here at Jacksonville's Beaches. Surrounded on both sides by an ever-growing skyline, the gorgeous St. Johns River continues to be one of Jacksonville's most recognizable icons. Long stretches of the Riverwalk were added to the South and Northbanks. The crowning jewel, however, is the Jacksonville Landing. The Landing, a centerpiece for shopping, fine dining and nightlife is just one of the area's hotspots. Waterfront dining can be found all throughout the area. If spectator sports are your thing, the NFL's Jacksonville Jaguars play Downtown at the Sports Complex, as does the city's minor league baseball team, the Jacksonville Jumbo Shrimp. There are also a variety of museums, including the Ritz Theatre & La Villa Museum, the Museum of Contemporary Art Jacksonville and the Museum of Science and History. And taking it all in couldn't be easier. River taxis are constantly on the go, transporting visitors back and forth between the Northbank and Southbank. If you prefer a more romantic river experience, take a moonlit cruise on one of the old-fashioned paddle wheel riverboats that wind their way along the St. Johns with River Cruises, Inc.
High rise condos, Riverfront Town Homes, Early 1900's front porch houses are the styles of housing you'll find in Downtown Jacksonville. 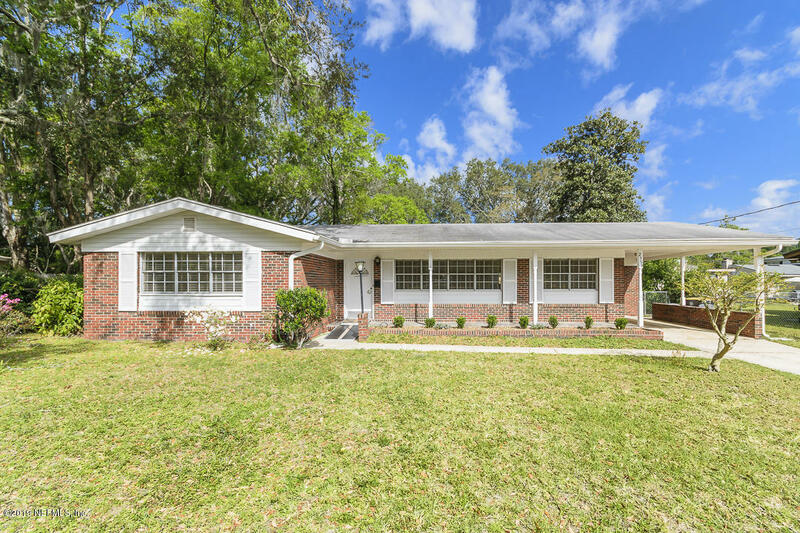 In the late 1800s, wealthy citizens began building homes in the quaint neighborhood of Riverside.This historic district is listed in the National Register of Historic Places and is also designated a local historic district by the City of Jacksonville. The Riverside's Five Points area is an artsy neighborhood with funky coffee shops, outdoor cafés, one-of-a-kind shopping, nightclubs, antique stores and more. For a slower speed, visit the Cummer Museum of Art and Gardens. You'll also find nearby Avondale is a great place to shop for antiques or enjoy a meal. Many of the area's bed and breakfasts are also located in this historic neighborhood. Many historic options in Riverside and Avondale, if you're looking for a Historic area housing where every house is different from Brick Cottages to Craftsman and Victorian and many huge homes that have been converted to multi-family this is a great area to call home. Located just minutes away from Downtown's Southbank is the historic neighborhood of San Marco. Stroll along San Marco Square and you'll discover incredible dining of every kind, upscale clothing boutiques and sensational art galleries. Theatre Jacksonville, the oldest community theatre in the country dating back to 1938, is also located within the square. Don't miss the San Marco fountain of lions that reflect the neighborhood's association with the Venice, Italy business district! From the modest to the magnificent, San Marco housing provides. 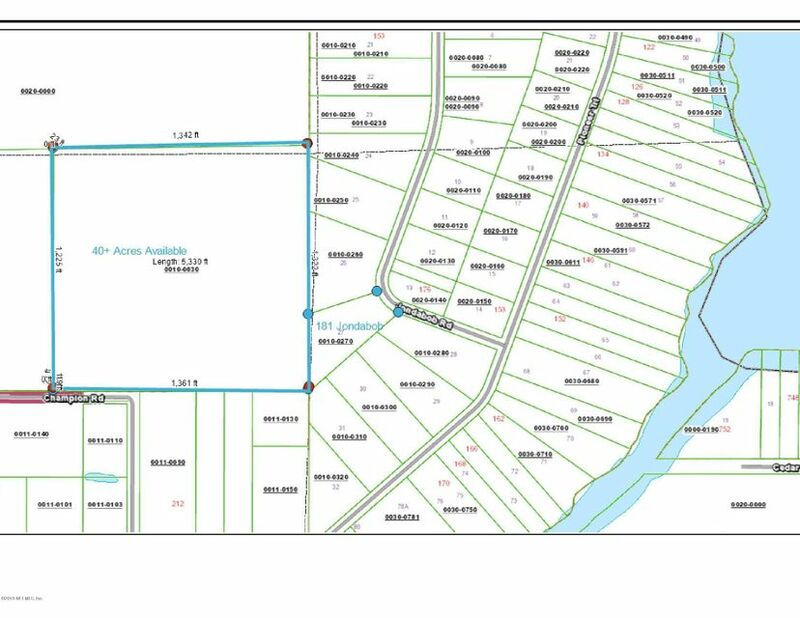 Riverfront condo's, sprawling estates, brick cottages this historic area is a lovely place to call home. The Southside is the latest up and coming section of Jacksonville and it's blossomed into a bustling business center. The Tinseltown area is hopping with a movie theater, restaurants, specialty shops and thriving nightlife. The Southside is also home to the St. Johns Town Center, a 200 Acre, open air super regional shopping center with everything from luxury stores to everyday national retailers you can eat, shop and play with so many options. The area is also home to the large yet elegant Avenues Mall. There are many regional parks throughout the Southside and the neighborhoods vary from Metropolitan living in shopping districts to sprawling estates in Country Clubs. The Southside is most often referred to as the heart of Jacksonville. 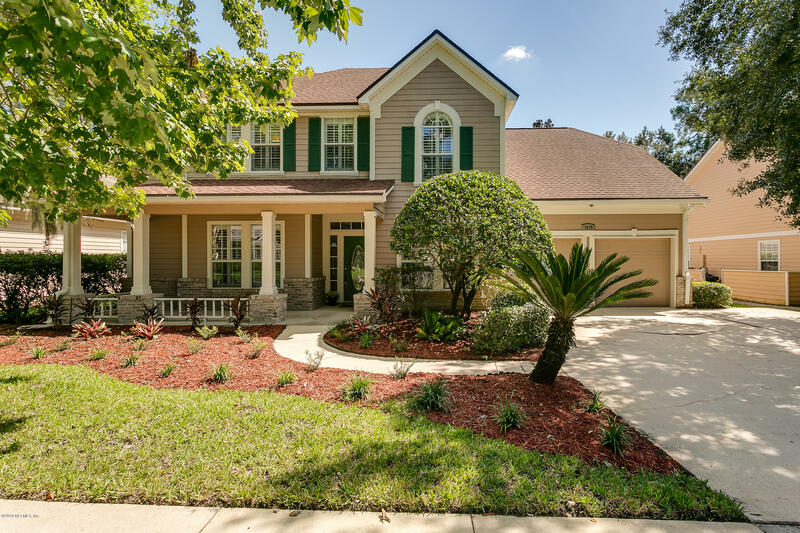 Along the St. Johns River and south of San Marco, you'll find the Mandarin neighborhood. Harriet Beecher Stowe, as well as painter Lee Adams once lived here.The mostly residential area is brimming with history and nature. Don't miss the Mandarin Museum and Walter Jones Historical Park. The 10-acre riverfront site is home to an 1876 farm complex with picnic areas as well as a citrus grove. 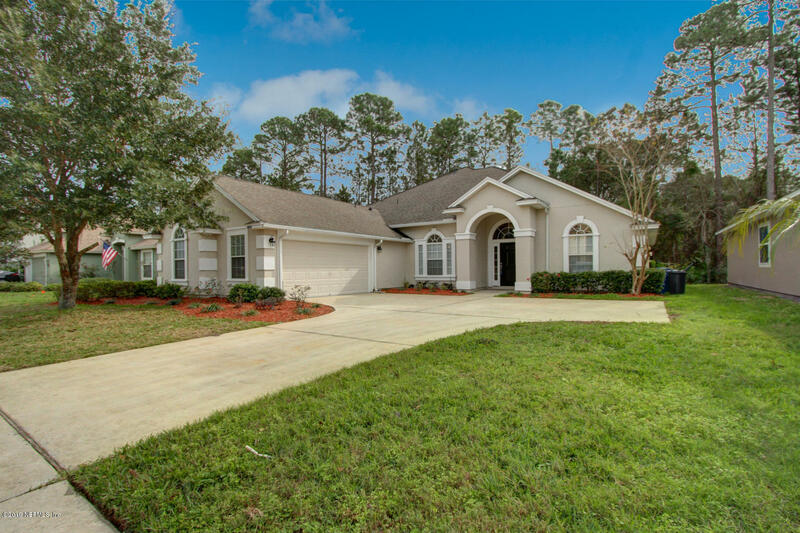 Mandarin offers a wide array of housing as well from waterfront on Julington, Goodby's and the St. Johns Rivers, equestrian properties to starter homes it's truly a gem. With a focus on camping, hiking and water sports, Orange Park is located just south of Jacksonville and west of the St. Johns River. In addition to the river, the Orange Park area is home to Doctor's Lake and Black Creek providing boaters the perfect area for wakeboarding, fishing or just relaxing on the water. Back in Jacksonville is the historic community of Ortega. Come to Ortega for a stroll along the St. Johns River and take in what many consider to be the best views of the Downtown skyline. The Jacksonville Equestrian Center, located conveniently on Jacksonville's Westside is home to premiere facilities for horse shows and recreational horse events as well as facilities to accommodate a range of community events. Additional places to visit within a close proximity to the Jacksonville area. Located less than 30 minutes north of the Jacksonville International Airport is Amelia Island and Fernandina Beach. Amelia Island is a golf and spa haven for leisure and business travelers. Fernandina Beach to the north is a quaint historic town known for its artwork, antiques and boutiques. Some must see attractions on Amelia Island are Fort Clinch State Park which served as a military post during the Civil War, the Spanish-American War and World War II; Amelia Island Lighthouse which began operating in 1839 and still operates today and American Beach, which was founded in 1935 by A.L. Lewis, Florida's first African-American millionaire. It served as the only beach opened to African-Americans until the late 1960s. 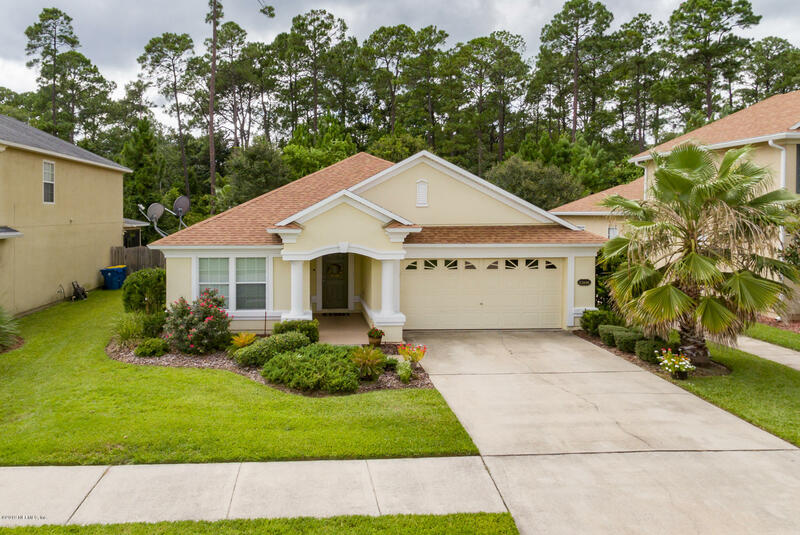 Flanked by the Atlantic and bisected by the Intracoastal Waterway you'll find Palm Coast, approximately 45 minutes south of Jacksonville. The area has slowly evolved into a fully functional resort community with its own natural elegance. Whether it's a golf course view or an ocean view you're sure to find a resort to suit your taste. Looking for a relaxing getaway filled with great golf and spa treatments? Don't miss the Hammock Beach Resort, located along the oceanfront with golf courses designed by Tom Watson and Jack Nicklaus. St. Augustine, the nation's oldest city, features magnificent attractions and historic landmarks at virtually every turn. Guided tours on buses and trams are a great way to appreciate the city's splendor and stop at all the major points of interest that include an authentic Spanish fort and the Fountain of Youth. You'll also want to consider a scenic boat ride or helicopter tour. Just off I-95 in St. Augustine is a bargain hunter's dream, the St. Augustine Premium Outlets and the Prime Outlets. Nearby, a golfer's paradise awaits at the World Golf Village with two exhilarating golf courses, the World Golf Hall of Fame and an IMAX® Theater. Haven't had enough time on the greens? Stop in Ponte Vedra, host to THE PLAYERS Championship. Away from the tee box are upscale restaurants and shops.